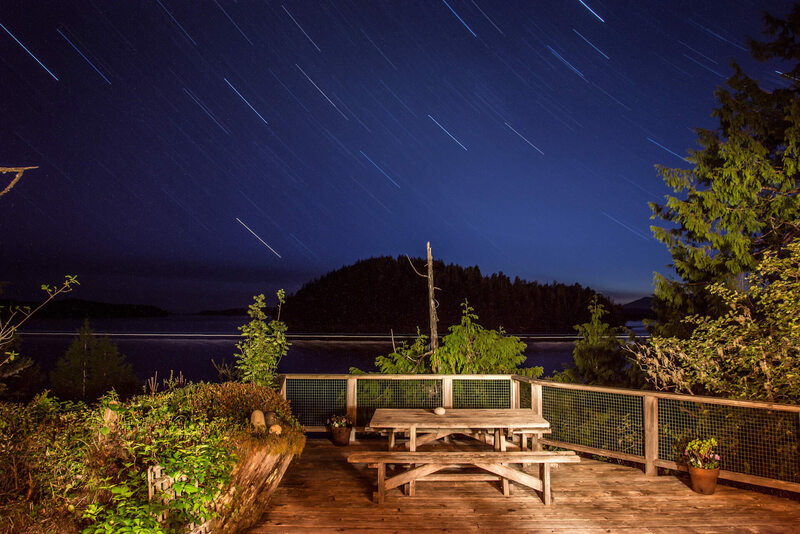 “Rustic and simplistic beauty define this lovingly built log cabin with breath-taking views of the open Pacific ocean. A meandering trail through old growth forest takes you to the doorstep of this warm and cozy private one bedroom cottage. There is a sofa bed in the living room for extra guests or a family of 4. 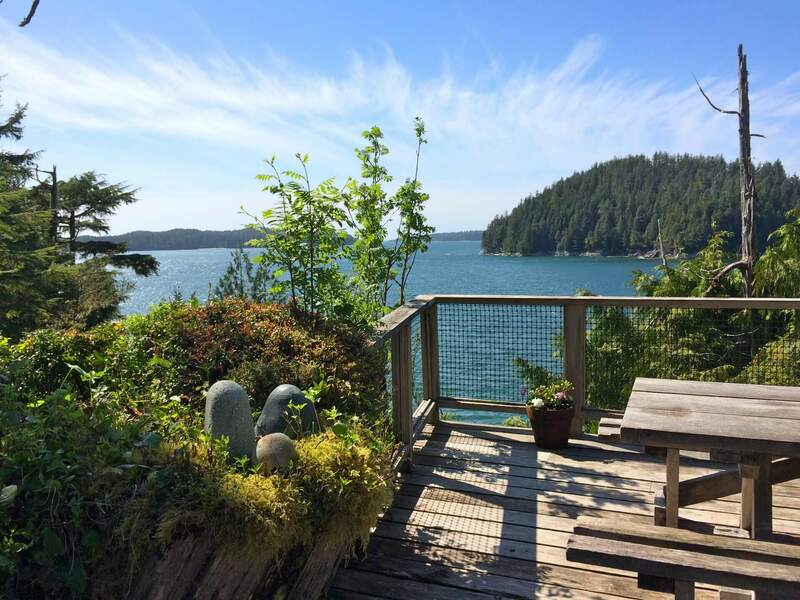 Located a 10min walk to beautiful Tonquin Beach and Park and just 5 minutes to the village of Tofino, Gold’s Cottage is convenient to nature and amenities. 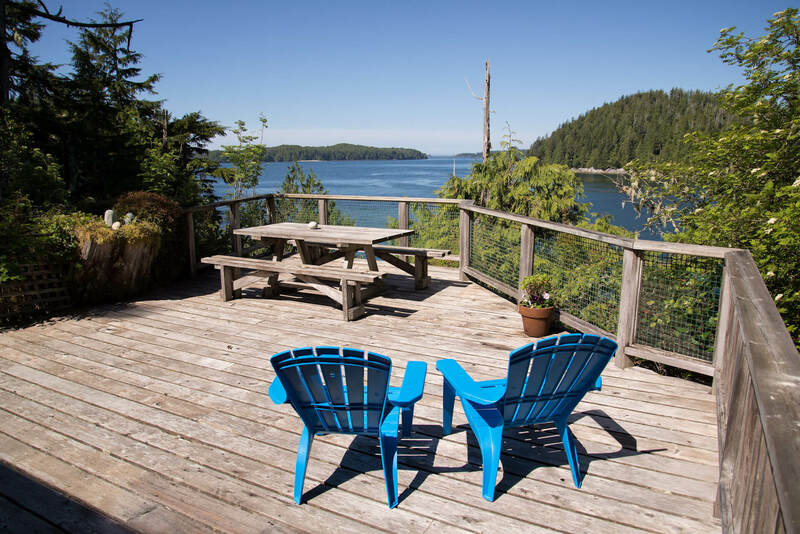 Relax on the large, sun-drenched west facing cedar deck with book in hand while savouring the sights and sounds of the West Coast, a true delight to the senses. Equally exciting, experience winter storms, crashing waves, wind and invigorating weather on long solitary beach walks or, from the warm and cozy inside of Gold’s cottage. Please note: smoking is prohibited on this property due to fire restrictions. This is a beautiful one bedroom cabin in the woods. There is a great little trail through the woods to get to the cabin from the parking, and a wheelbarrow is provided for easy movement of your bags. 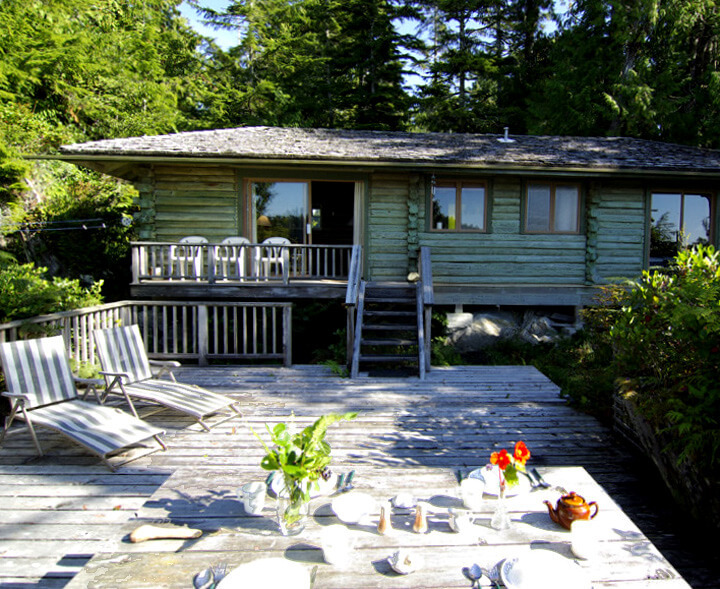 The cabin has large floor to ceiling windows and exceptional views, not to mention the huge deck over looking the ocean. Great little place. Stunning view and an amazing dock made it hard to leave and explore the town. If you are looking for somewhere private to recharge, this is the place. A short walk to restaurants, grocery, fee shuttle that takes you to the beaches. The location can’t be beat. Log house is also pretty cool! 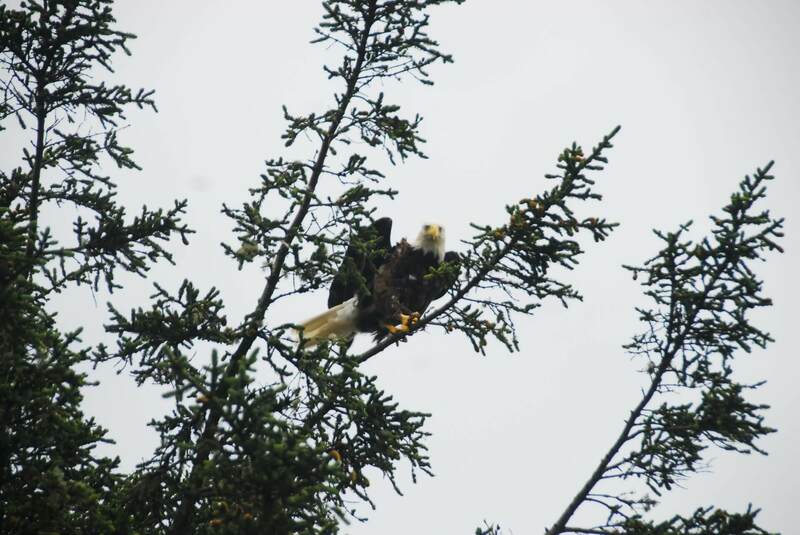 Keep your eyes out for the bald eagle that you’ll see flying over head. Danielle was quick to respond when I had a challenge with the lock. I would come back here again in a second. Wonderful place. Perfect location. Spectacular view. Easy check-in. Couldn't have asked for anything more. Would stay again in a heartbeat. Thanks for such a wonderful time in your lovely home. I want to keep this place a secret! Such a great little get-away, while still being so close to town and the beach. Comfortable fits four people even though there is only one real bedroom. The deck and property is amazing, and walking down the trail is so magical. The view from the back deck is worth every penny! 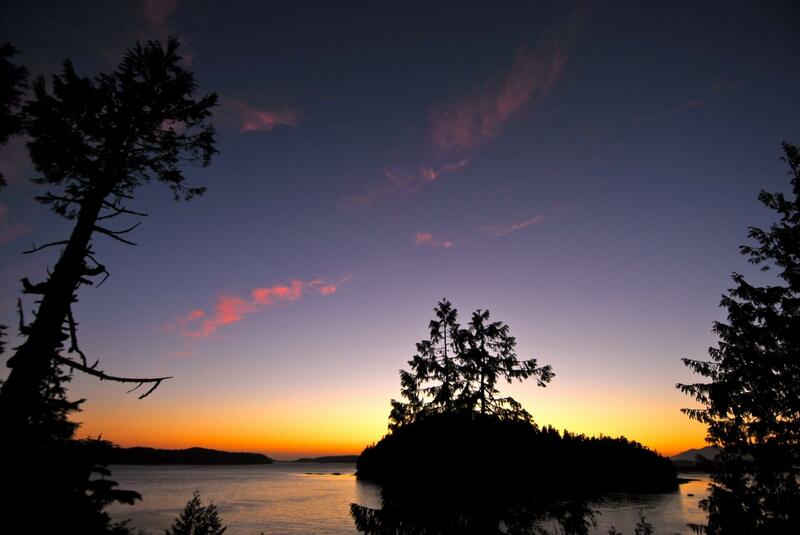 Quiet, secluded piece of water front paradise! 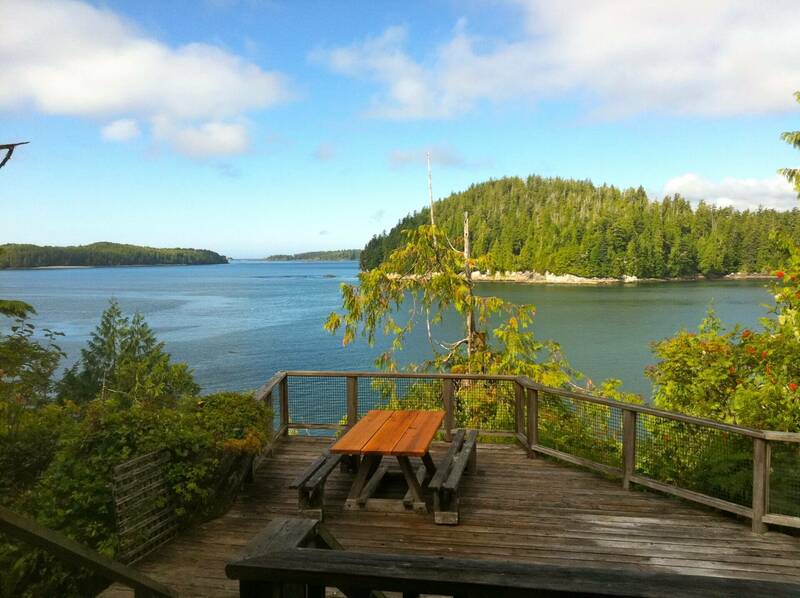 Golds Cottage exceeded our expectations in every way. The location down a private track was utterly peaceful and the view took our breath away. 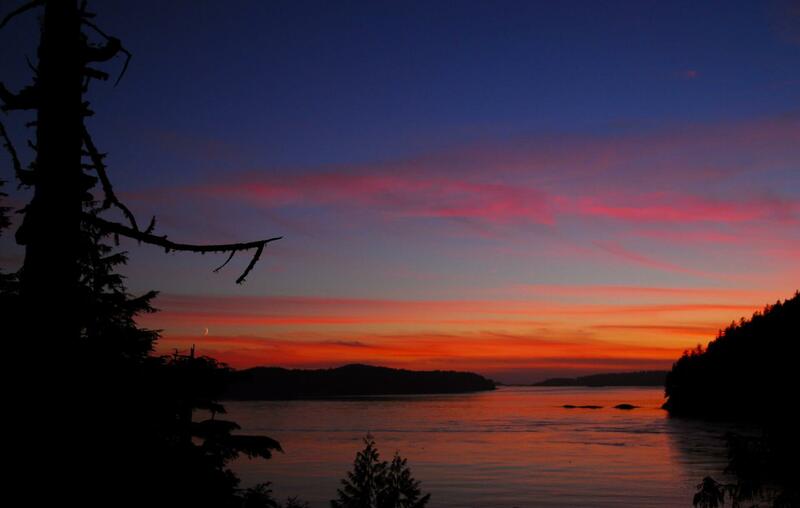 Yet we were within walking distance of Tofino with its charming shops and restaurants and Tonquin beach. The torches thoughtfully provided by the hosts helped guide us back to the cottage after dark. I would say that the photos of the interior don't do it justice. The bedroom was much more spacious than it appears in the photos with a view out over the water. Same applies to the kitchen/living area. Four of us stayed there for three nights - two in the bedroom and two on the sofa bed in the livingroom - and everyone was comfortable. We didn't communicate with the hosts while we were there as we had everything we needed but in booking our stay there, I got immediate replies to any messages. This place is magical. We'll be back. Location, location, location! 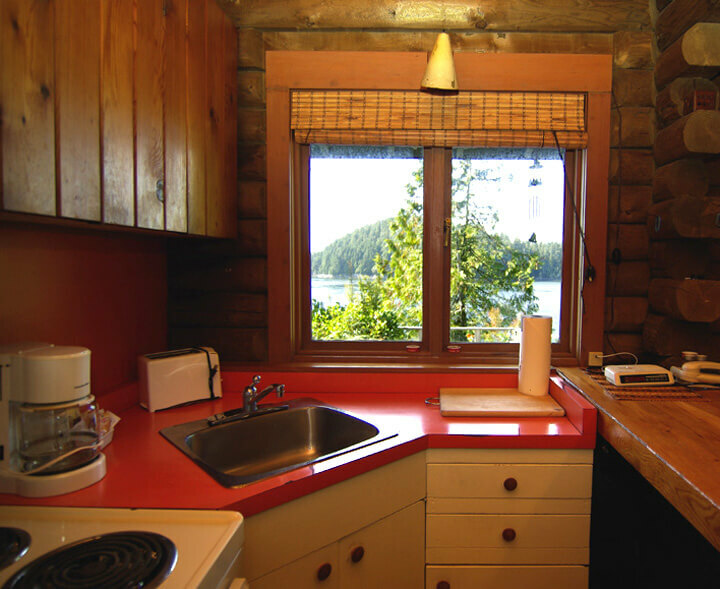 We walked everywhere in Tofino from this cozy cabin. At the same time, this spot felt very secluded being nestled in a coastal forest. Also, what a view! We really enjoyed our time at Gold's cottage.